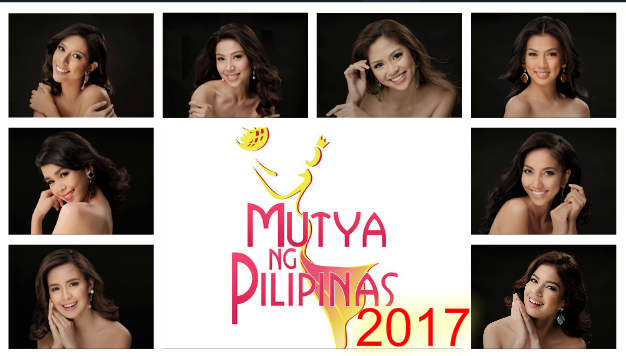 30 beautiful Filipinas will vie for a title of Mutya Ng Pilipinas 2017. The grand coronation night will be held on Aug. 4 at the Newport Performing Arts Theater Resorts World Manila in Pasay City. This year’s official candidates are Darlene May Reyes, Chella Grace Falconer, Cristelle Ann Tolentino, Kristine Eiriel Nolasco, Crystal Rosehelly Alday, Pamela Bianca Villacorte, Jaila Eunice Ragindin, Jesas Wada, Arianne Deseree Viardo, Sofia Marie Sibug, Shaina Micaella Bello, Alyssa Joreen Reyes, Charlene Fontanilla, Hannah Khayle Iglesia, Abigail Jane Grigsby, Nicole Kristel Losloso, Ilene Astrid de Vera, Sandrianne Esquilona, Claire Yvonne Aznar, Savannah Mari Gankiewicz, Angela Carla Sandigan, Maxine Xanti Manalus, Louise Lian Enumerable, Stephanie Joy Pendon, Bertmari Ýr Bergmannsdottir, Colleen Chan, Jannie Loudette Alipo-on, Suzanne Perez, Rica Sey and Nicole Marie Deguilmo. Titles at stake are Mutya ng Pilipinas-Asia Pacific International, Mutya ng Pilipinas-Tourism International 2017 and Mutya ng Pilipinas-Overseas Communities 2017.